Register Now For The Flo Golden South Classic! The 2019 Flo Golden South Classic is right around the corner. Hosted in the heart of central Florida, the Flo Golden South Classic has hosted nation-leading records, breakout performances, elite showdowns, and numerous athletes who have gone on to perform at the pro level. All middle and high school-aged athletes are welcome to compete. To participate in the Classic Division, you must meet the qualifying standards, all other athletes will be placed in the Open Prep Division. Here are the Classic Division Qualifying Standards. 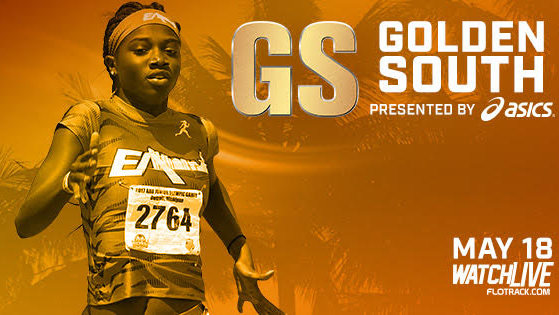 With fast performances, music on the infield, spontaneous contests and prizes -- Flo Golden South is an event you will want to be part of and will leave you feeling the passion of the sport of track and field. We can't wait to see history be made this May. Hope to see you there!